Sea of Thieves is finally out and has been one of the most anticipated games of 2018. With this latest game from Rare, Sea of Thieves allows people to become pirates and sail the open seas and look for treasure while fighting with pirate skeletons and sometimes with other pirates as well. When first beginning the game, I was given choices to choose what my pirate will be. You can buy clothes and other objects in order to customize your pirate which I have to admit is nice since it doesn’t really give an option to customize your pirate’s features after you pick your pirate. Now it’s time to set sail. 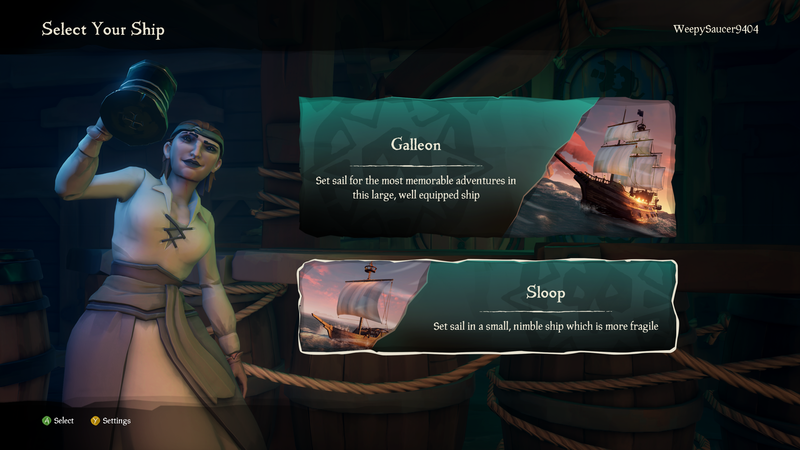 Before heading off to the open seas, I was given options of either using a galleon ship, which is usually used for large crews such as 3 or 4 players or a sloop ship which is normally used for a solo player or a two-person crew. After choosing what size ship I plan on using, I was then placed on an island in the bar where you can talk to the bar person for a drink or some other information. While on the island, I saw a few different shops in which I could customize my pirate or my ship and a shop to buy weapons. There are three different guilds or factions in which you can get missions and earn some coins. First, there is the Gold Hoarders which is basically finding the treasure or where X marks the spot. If you want to fight the pirate skeletons, there is the Order of Souls. Finally, you can get ship around livestock with the Merchant Alliance. When you’re with a crew, any rewards that you get during the voyage or mission is split between all of the members equally which is nice especially if you are just starting out and you are with a seasoned pirate. Now let’s get down to my experiences with the game. 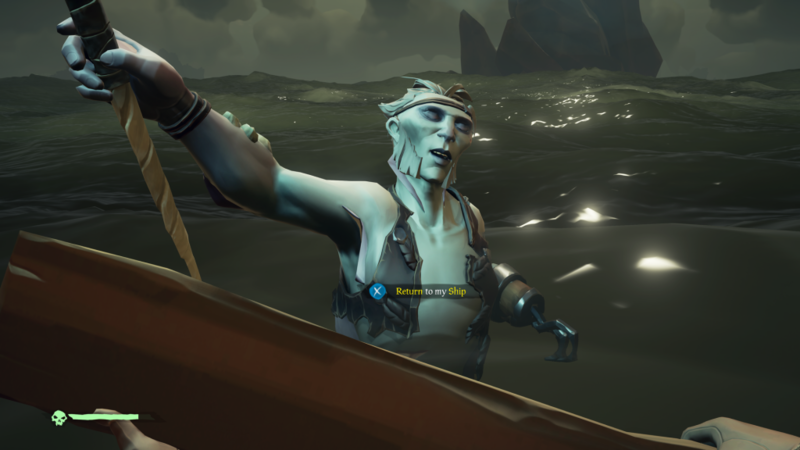 When I first started playing Sea of Thieves, I was experiencing some really bad lagging. I’m not sure if it was on my part or with the servers but it was so terrible I would take one step and then would be teleported someplace else. Then the next day or so, there was a small update and I admit, it did help somewhat with the lagging but it was still there. Now this time, it seemed like I would take one step forward and take three steps back sort of thing happening. I even looked on the forums to see if anyone else was having this kind of issue with the game and it seems like there were a few others like me who were having some network or lagging issues with the game. So I will give Sea of Thieves some points on working on the servers since I did notice a difference with an update. But it’s difficult to get anything done when the lagging issue is making it impossible to complete even one mission all the way. I had tried a few Gold Hoarders missions. I had either managed to get the treasure but not able to return it because my boat sank due to crashing into some rocks and when trying to repair it the lagging kept moving me away from the damaged area that I was trying to repair and thus causing my boat to sink and thus losing the treasure. Or I would make it to the island but then killed by the pirate skeletons and that would make the treasure or mission disappear then. Below is a video of how bad the lagging was my first day as a pirate. I do have to say that at the game’s launch there were some server issues and many people were having trouble getting into the game. 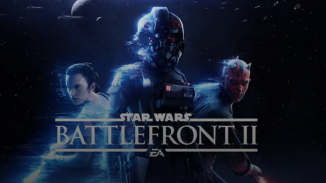 However, it appears even though you can play solo in this game, which I have done at the time of writing this, it seems like Rare really wants you to play with other people. Though I do think that it’s a good idea to play with some friends or even try finding some others who might have the same style of play as you on the forums, I had played solo mostly due to my experience during the Technical Alpha. I had only played one session and since I was new to the game, I was looking at the control scheme to get a feeling of what the controls do and two of the three crew members that I was teamed up with had cursed me out and one of them even shot at me. When that happened, I quit and uninstalled the game right away and reported the players. Even now, I see on the forums and on Twitter how there are still people harassing others in the game. Though I do admit during the short time I was in that one session in the Technical Alpha, I wasn’t experiencing the lagging issue that I am experiencing now. So in a way, I think it might be a little bit more on the Sea of Thieves side with the servers and the lagging issue though I do admit there are times when my internet does cause problems. But speaking of the solo experience in Sea of Thieves, it is somewhat difficult to even operate the sloop all by yourself even though it is the smaller ship. I’m hoping with future updates, Sea of Thieves can make it easier on the solo players when operating the ship, even if adding an AI pirate or even a monkey to help with the sails, anchor, steering or repairing the ship. 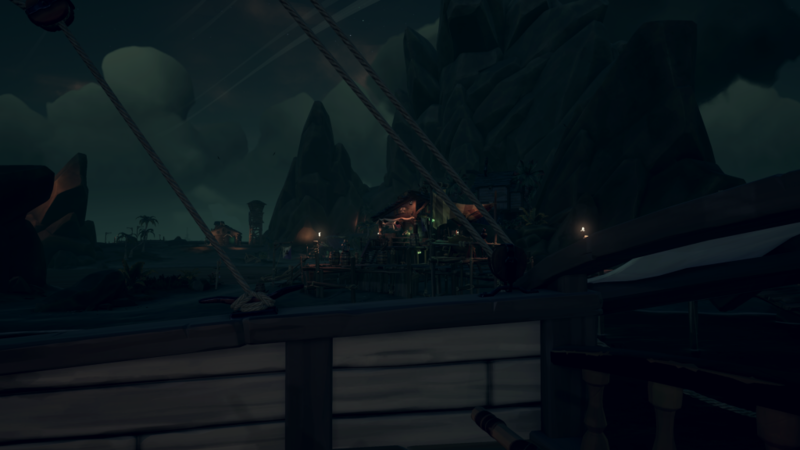 Even when I was playing solo, I hardly came across any pirates. 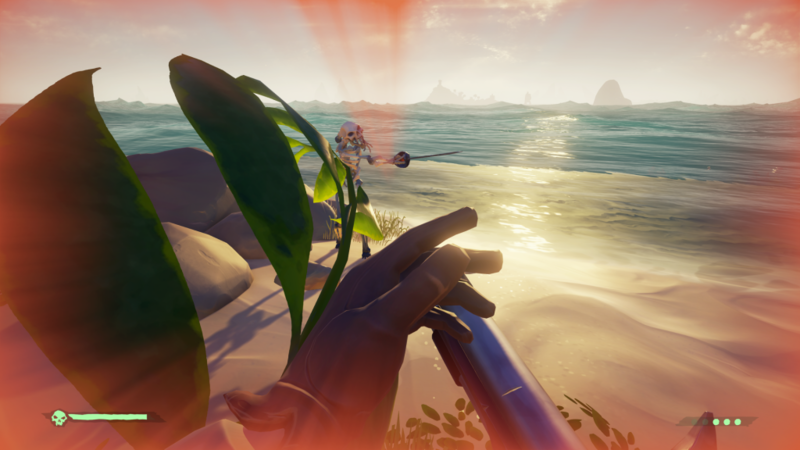 In my first session, I was trying to exploring the island that you are first spawned on and I was shot at from behind by another pirate. After then I hadn’t came across another pirate yet. Though when I was on the open seas, I did notice a galleon ship off in the distance but I figured that it would be best to leave well alone. 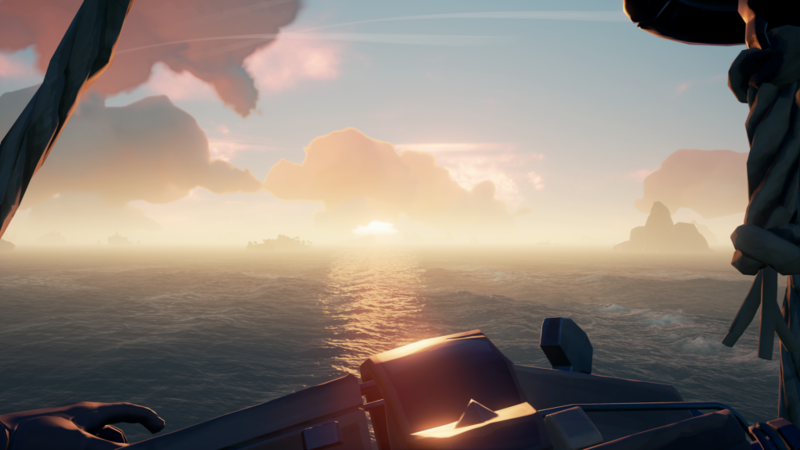 Other than that, I haven’t seen anyone during my sessions of Sea of Thieves, which I find to be kind of disappointing in a way considering the launch of the game, there was the server issue that was causing a lot of people not to jump into the game and also with everyone seem to be talking about Sea of Thieves lately (when not talking about Far Cry 5), it just seems weird to not see anyone or come across anyone while playing the game. However since the game doesn’t really have a set storyline going on, there is a sense of repetition going on since you are the same quests over and over again even though you might be going to different places, it’s still the same mission. Hopefully, there can be a storyline in the future update but after some time, this game might wear out the welcome unless if you just enjoy sailing the ocean and doing the same thing over and over again. 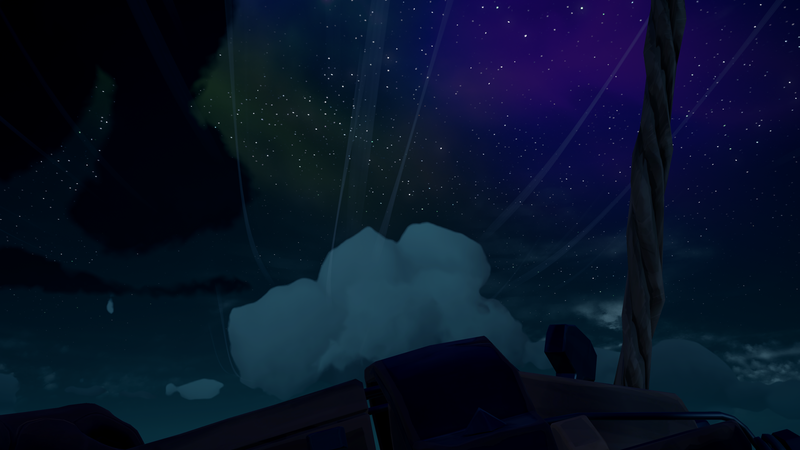 What I do like about Sea of Thieves is how pretty the whole world seems to be. I really do enjoy the seas and how pretty they are but I think I admire the sky just a tad more. I had enjoyed looking at the sky at night and looking at the stars and then when the sun would rise or set, it was really beautiful as well. I also liked how Rare had incorporated storms into the game as well. Then there are also some Auroras in the game, which I am surprised that I hardly saw anyone mentioning that since all I see is how everyone talks about the sea and how pretty it is. Also, I like how Sea of Thieves even shows which way the wind is blowing which is a pretty cool feature. Having played it on the Xbox One X, the game is really amazing looking and the graphics are amazing. Being able to play an instrument is another cool thing about Sea of Thieves that I enjoyed. You can sit there and provide some shanty entertainment for the rest of the crew or if you are a solo player like me, provide the entertainment for the open seas. What is also cool is how you can play your instrument and it can even calm down a snake! It even looked like the snake was wanting to dance to the music. Below is a clip of one of the shanties that you are able to play on your instruments! There are mermaids or mermen who will bring you to your ship if it sinks! 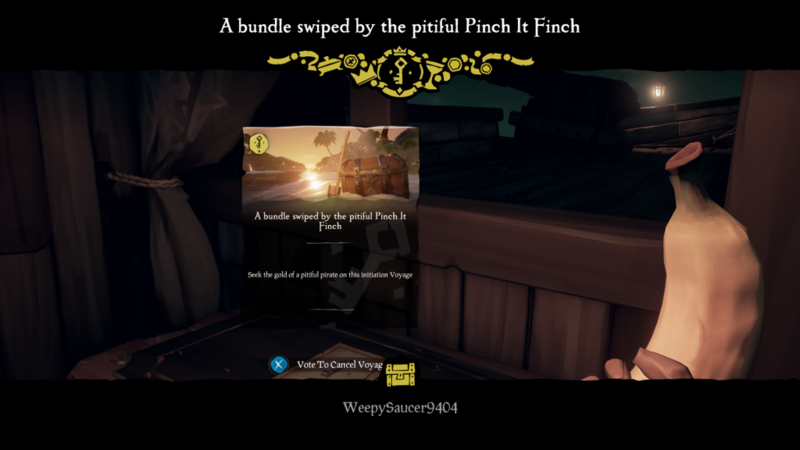 It is a good thing that Rare had placed that into the game since you could pretty much sink in the middle of the ocean and it would take forever and a day to get back to an island that would sell you another ship. 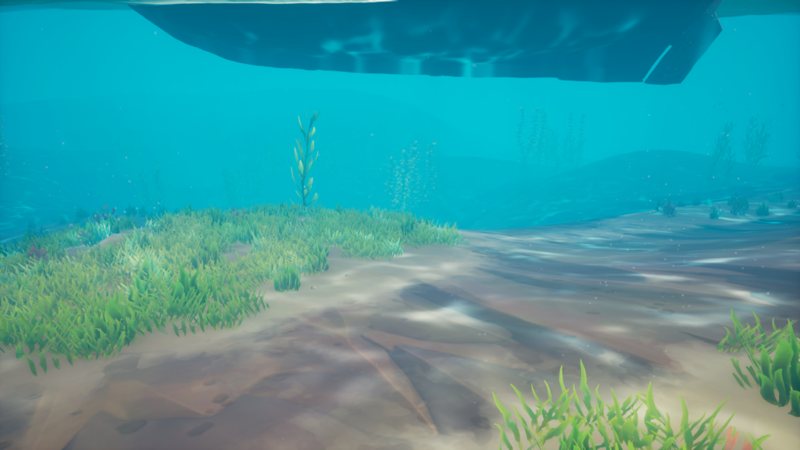 I hope Rare would do something more with the merpeople such as if you are sailing along and then you see a merperson in the distance you can go up to them and either earn some experience or a mission to do. 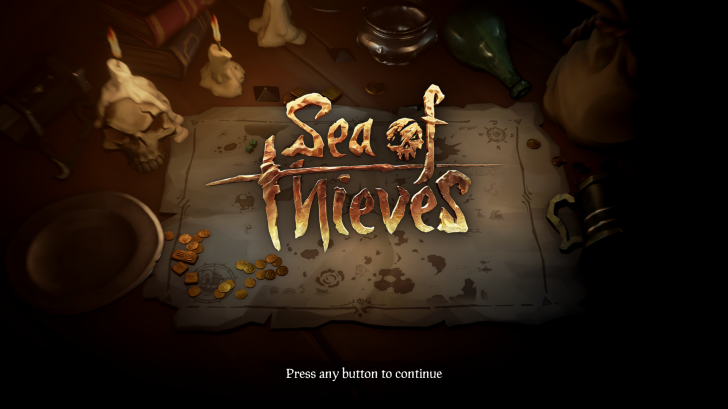 Overall, aside from the few negative experiences that I have with the game so far, I find that by Rare updating the issues is a good thing and aside from the few issues that I did have with the game, it is quite enjoyable from the times that I was on the open seas. Hopefully Rare will continue to update the game and add more to it as time goes on but for now, Sea of Thieves is a great game to unleash your inner pirate and set sail on the open seas! 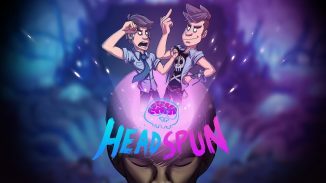 You can either purchase this game for $60 or if you have a Game Pass subscription, you can download the game for free and be able to play on either Xbox One or on your Windows 10 PC/laptop. 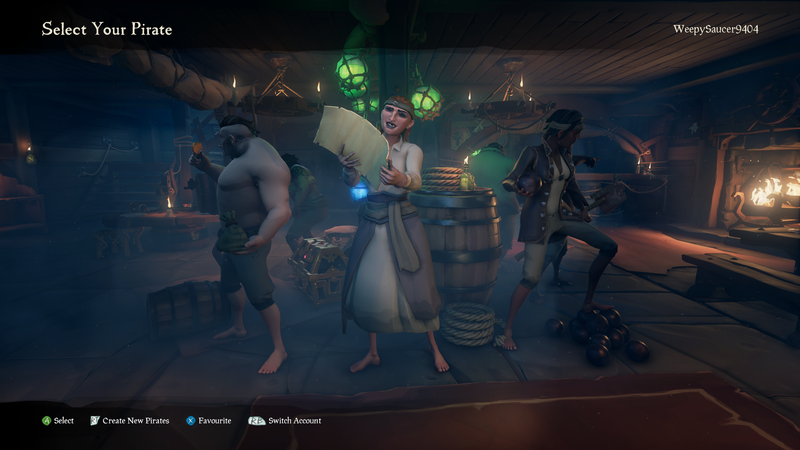 Also, Sea of Thieves also has crossplay! If you are in doubt on whether to get the Sea of Thieves or not, feel free to look at others’ streams of the game or if you have a Game Pass subscription, you can always try it out for free before buying the game! Also, be sure to check out the Sea of Thieves official website and forums for updates to the game and to give suggestions for future updates, as well as searching for fellow crew members! 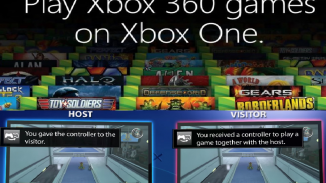 *Note: Game Pass was provided to experience Sea of Thieves and Sea of Thieves was played on an Xbox One X.